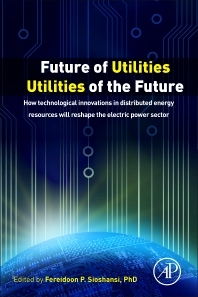 Future of Utilities - Utilities of the Future: How technological innovations in distributed generation will reshape the electric power sector relates the latest information on the electric power sector its rapid transformation, particularly on the distribution network and customer side. Trends like the rapid rise of self-generation and distributed generation, microgrids, demand response, the dissemination of electric vehicles and zero-net energy buildings that promise to turn many consumers into prosumers are discussed. The book brings together authors from industry and academic backgrounds to present their original, cutting-edge and thought-provoking ideas on the challenges currently faced by electric utilities around the globe, the opportunities they present, and what the future might hold for both traditional players and new entrants to the sector. The book's first part lays out the present scenario, with concepts such as an integrated grid, microgrids, self-generation, customer-centric service, and pricing, while the second part focuses on how innovation, policy, regulation, and pricing models may come together to form a new electrical sector, exploring the reconfiguring of the current institutions, new rates design in light of changes to retail electricity markets and energy efficiency, and the cost and benefits of integration of distributed or intermittent generation, including coupling local renewable energy generation with electric vehicle fleets. The final section projects the future function and role of existing electrical utilities and newcomers to this sector, looking at new pathways for business and pricing models, consumer relations, technology, and innovation. Professionals and researchers interested in the power sector, policy makers and regulators, senior managers of the power industry, and the technical community in the field of power generation, storage, transmission and distribution. 23. Network pricing for the prosumer future: Demand-based tariffs or nodal pricing?